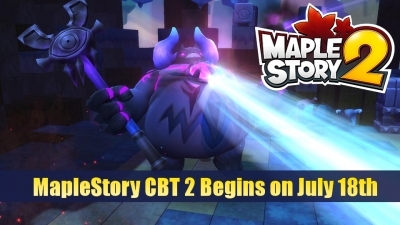 Welcome to ms2store, my friends, I really feel sad about the losses in MapleStory, that makes me really really dispirited. You guys can never know what happens to my keyboard with maple running even when alt-tabbed. Yes, I have been playing MapleStory for more than ten years, when I first time to meet MapleStory game, it was 2005. Then there was a new part in my life - playing MapleStory with my dear friends, we have shared so many happy time with each other in game. Yes, we love the game deeply! All players want to output maximum damage in MapleStory, then we need to think which will cause maximum damage, % Damage or % Att? We can easilly cause ton of % damage to start with, but atk% is very valuable in your whole damage. Hey folks, welcome to ms2store, how do you guys feel about the Kerning Tower in new Fantasy Theme World, is this the version that you would like to see in the year 2017? Or do you have some more good suggestions for the new theme? Hi guys, welcome to ms2store, do you know that there is a new version of Fantasy Theme World in MapleStory, I do love the old version of the dungeon, but to be honest, the new look of Theme Park is better than I thought! 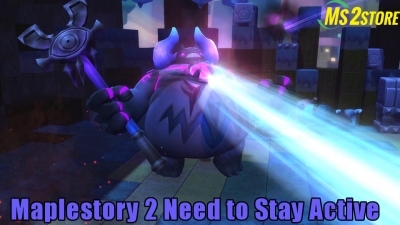 Hi guys, welcome to ms2store, how do you guys feel about the weapon/magic cancle in MapleStory, do you have the thought: "I don't have to deal with it, therefore there's no problem." 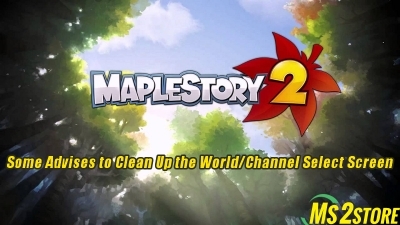 So happy to be ms2store to share my opinions about the world selection screen clutter, as we all konw that there are some chaos in world/channel, I think Nexon should take some measures right now! 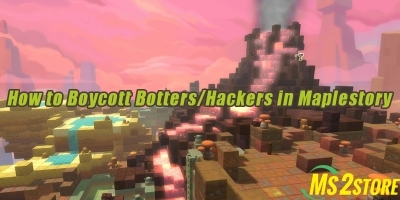 Botters and hackers becomes more and more serious in Maplestory, it's more hard to fight against them, if we fight for the spot with these botter and hackers, we will very likely get banned - we are judged as a botter instead! Hey guys, welcome to ms2store, did any of you gamble on fusing Nebulites? Some of palyers want tp get more maplestory mesos by gamble, yes, gamble may bring extra mesos for you, but cabn also lose all of your mesos meanwhile. Displaying 19-27 of 74 results.